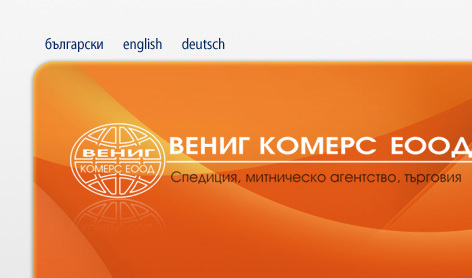 In the course of its development, Venig Commerce Ltd. has established numerous contacts with Bulgarian and foreign companies, engaged in the field of forwarding, road transport, production and trade. As far as forwarding and international transport is concerned, our company is working quite actively with distinguished Bulgarian transport companies, pursuing their business in the neighbour countries, as well as in the countries of the European Union. In the field of production and trade, we are intensely partnering with a number of companies of the European Union, however, our development goals go beyond the boundaries of Europe.